Color : Red, blue, green, etc. Packing : 120 pcs / box. Packaging Details : Each pc into poly bag then carton. 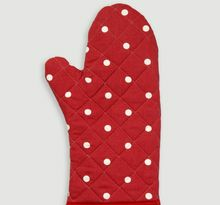 We deal in the best quality Oven Mitts . 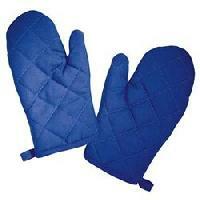 Available in different sizes, our Oven Mitts are designed as per the set industry standards. Only quality approved material is used in making these Mitts. 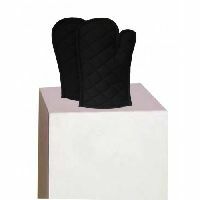 Ensuring optimum grip, these Oven Mitts are comfortable to wear and easy to wash. We offer Oven Mitts at market leading prices. 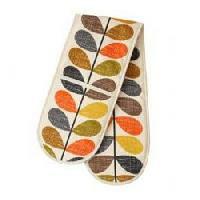 Our company is offering a superior quality range of printed oven mitts. 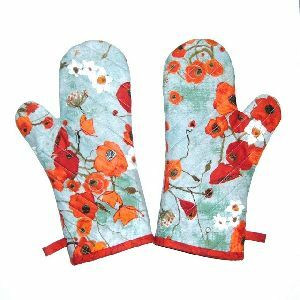 These mitts are made from premium cotton material and padded with cotton wadding to make it perfect for the purpose of handling hot pots and pans from the stove and oven. Also, the stitching and finishing ensures the durability and reliability of the gloves. 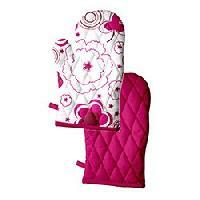 We are offering a wide array of Oven Mitts to our clients. 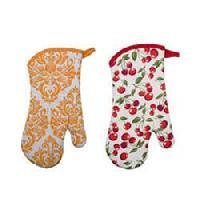 Our Oven Mitts are extensively used for various household purposes by the customers. 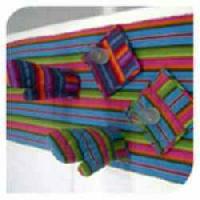 Our mittens are fabricated by making use of the superior quality silk along with pleasing style and quality threads. Available at industry leading prices, these products are manufactured in compliance with the latest fashion trends. 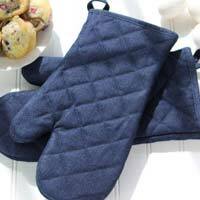 We offer a very sturdy variety of oven mitts, that is worn like a glove to protect the hand from hot ovens and scalding pots and pans. 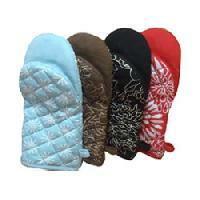 Our range of cotton oven mitts are filled with insulation material for better effect. We offer a high quality range of oven mitts or oven gloves. 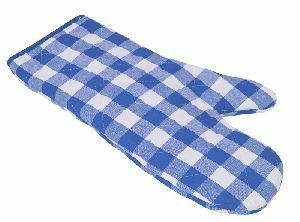 These mitts are manufactured using premium cotton material and padded with cotton wadding to make it perfect for the purpose of handling hot pots and pans from the stove and oven. Also, the stitching and finishing ensures the durability and reliability of the gloves. 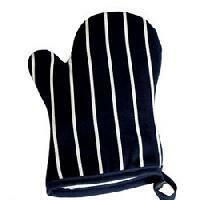 We design and manufacture a very practical range of double oven mitt. It means it is a pair for both hands. 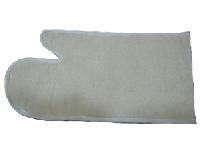 The range of our oven mitt is made from sturdy materials and backed up with lining. 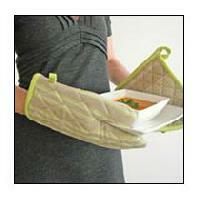 The oven mitts are a very utilitarian item and protects the hands from hot utensils. 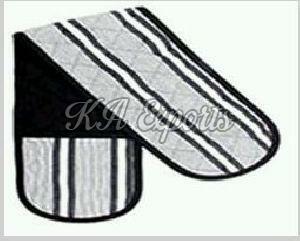 Our range of kitchen oven mitts made from 100% cotton is offered in stripes and checks in pantone color scheme. 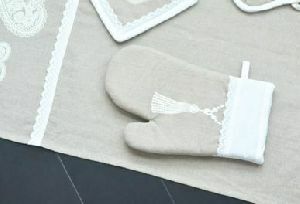 They can used as holders, the premium quality of cotton ensures that it does not hurt the hands of the user. It is also a quality product in our wide range of linens. 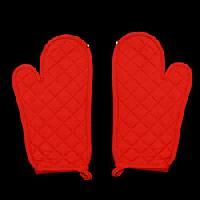 We bring for our clients a very useful variety of oven mitts protects the user's hands from scalding pots and kitchen burns. 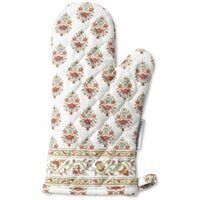 Made from superior cotton and polyester these aesthetically designed oven mitts are padded with cotton lining for extra protection. Our range is cost effective and durable. A secure, non-slip grip that is resistant to heat up to 260 degrees Celsius is ideal for removing hot plates, baking dish, oven grills, pans and other cookware from microwaves, grillers, ovens, smokers, etc. It is small and compact in size and will prevent the fingers to burn. It is also dishwasher safe. 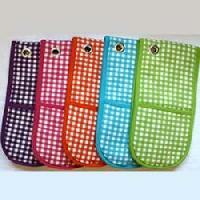 Our organization is well known manufacturer and exporter of cotton kitchen oven mitt. 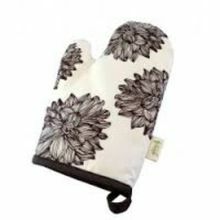 These oven gloves are made from blend of premium cotton material and padded with cotton wadding, so it suited for the purpose of handling hot pots and pans from the stove and oven. The color range is assorted allowing the clients to avail any range of colors suited for their requirement. 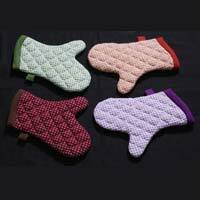 We are engaged in manufacturing a very utilitarian variety of Oven Mitts that is made of sturdy cotton in spun and woven quality. 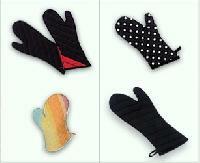 The mitts are filled with heat-proof sponge material, which allow them to resist high temperature of the ovens. The range is easy to wash, maintain and last a long time. 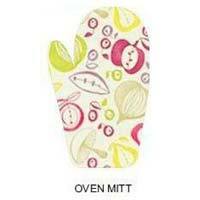 Our organization offering a high quality range of Kitchen Oven Mitts. 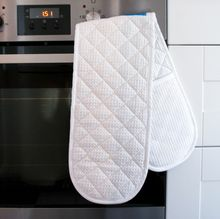 Our Kitchen Oven Mitts are made from premium cotton material and padded with cotton wadding to make it perfect for the purpose of handling hot pots and pans from the stove and oven. Also the quality and finishing ensures the durability and reliability of the gloves. 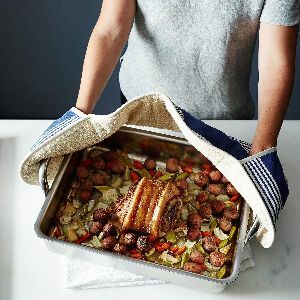 among the diverse range of kitchen linen set we offer oven mitts that we make from premium materials is very practical item for holding hot pans and pots. we offer the range in varied designs and colors. 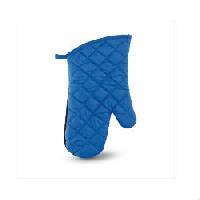 Oven mitts are manufactured in poly wadding finishing for perfect insulation. 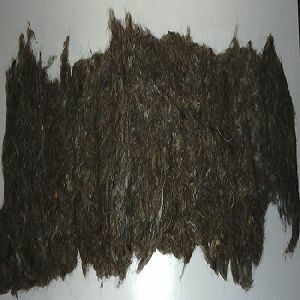 It is sample tested under working conditions. 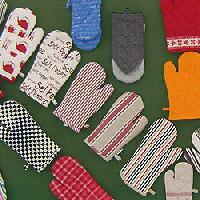 The mitts are available in various varieties like solid, print, check, dobby, stripe and jacquard.